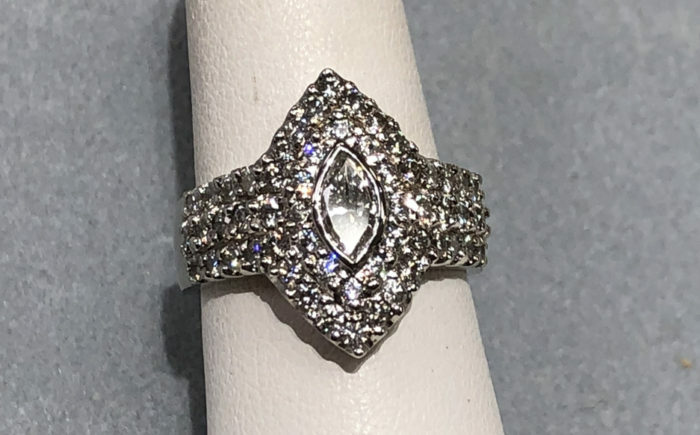 A customer came into our Minneapolis store interested in having a custom engagement ring made with two matching wedding bands to fit on each side of the engagement ring. 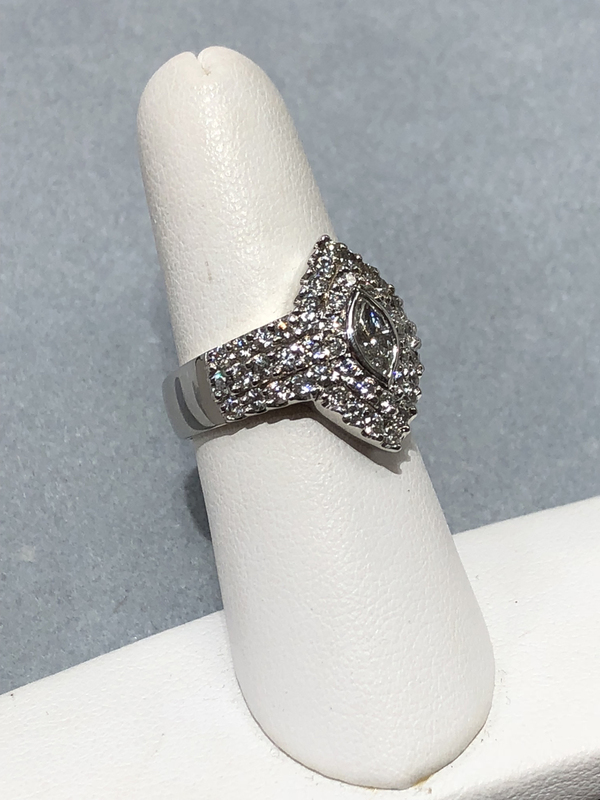 As we discussed the rings with her it was evident that she desired to have the matching wedding bands fit as tight as possible without any gaps between the rings. 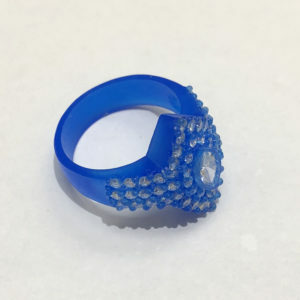 Initially it was to be three separate rings to be casted and soldered together, but after conversing more and showing her some products she decided on one ring that would look the same as the three finished rings. 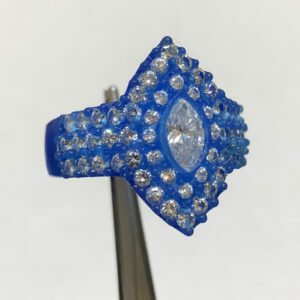 The first step was to carve a wax mold, which she loved. 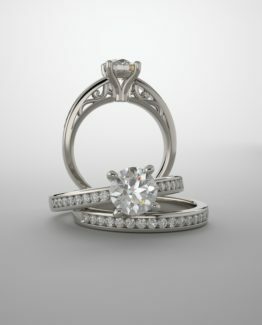 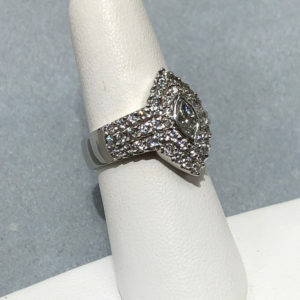 Our customer told us to move forward and make the actual ring using 14kt white gold. 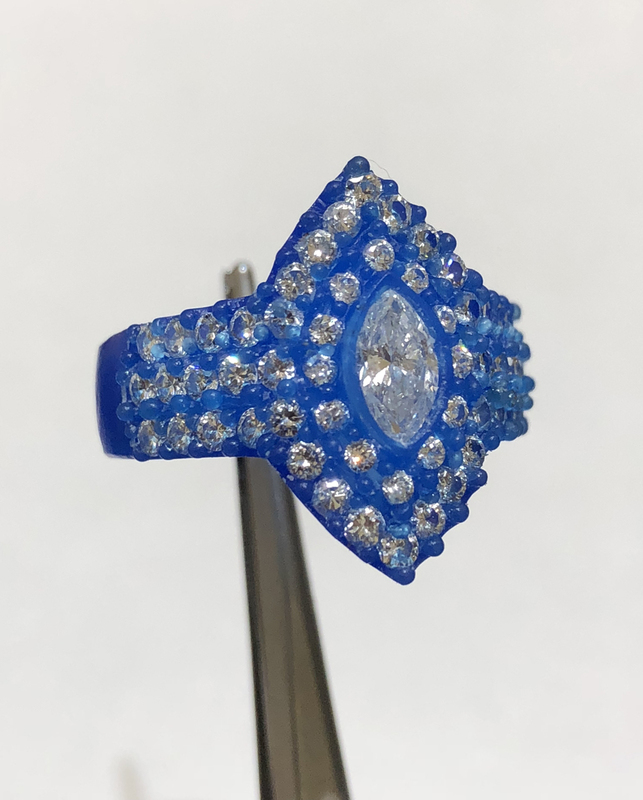 You can see both the mold and the finished product in the pictures displayed below. 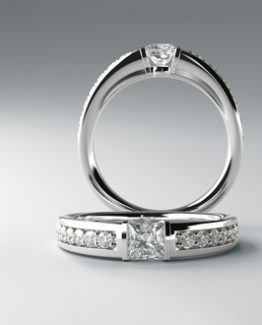 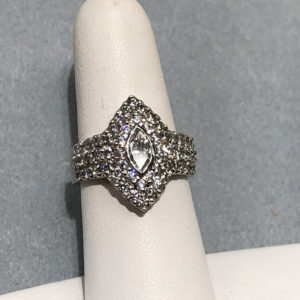 A beautiful diamond engagement ring designed and created by the experienced jewelers at Johantgen Jewelers. 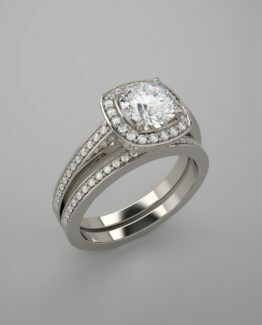 This was a completely hand-made custom design engagement and wedding band style ring. 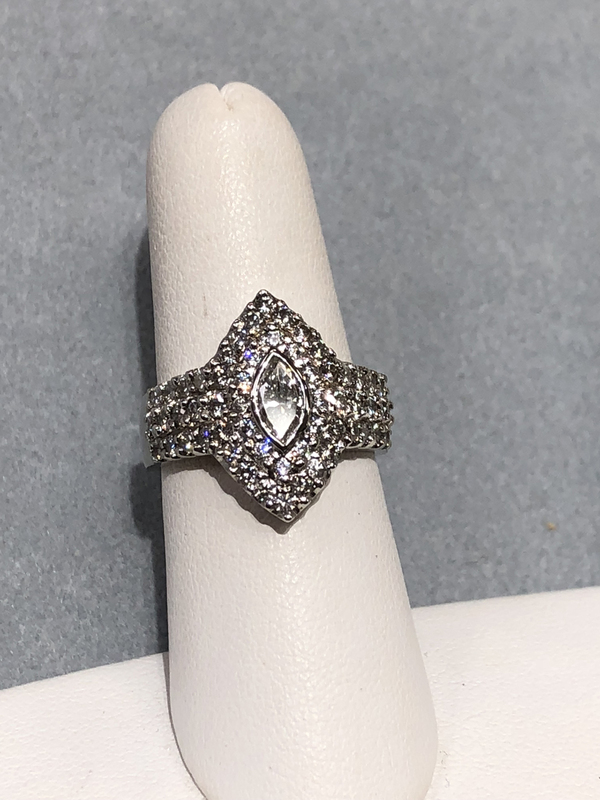 We were very happy to be able to help in creating a one of a kind custom jewelry piece that is destined to become an heirloom ring that can be worn a lifetime and is an everyday reminder of the love that you share. 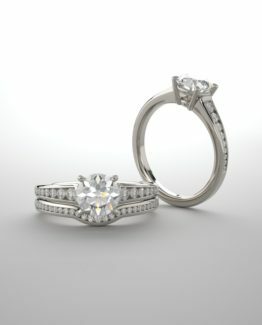 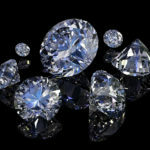 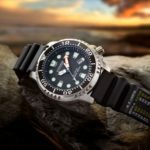 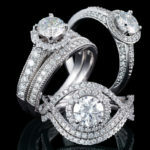 If you are interested in custom jewelry of any kind please give us a call or stop into our store today!